The latest Allure magazine has a rather fabulous story about what they call “millionaire’s hair” i.e. the “thick, shiny, totally luxurious hair” that we all want to wake up with every morning. They go on to term it the likes of “rich lady” hair but if you make the effort it can be yours, whatever the size of your wallet. Especially when it is achieved and maintained with the help of L’Oréal Professionnel’s new Steampod, a very clever tool that I had used on my hair last week at Jan Waite Hairdressing in Auckland’s Mount Eden. The world’s first high pressure hair smoothing iron, it treats the hair while it styles – and it works! It aims to deliver “visibly repaired hair, exceptional smoothness, unparalleled shine and a superior blow-dry finish”, and yep, it certainly did what it said with my locks. 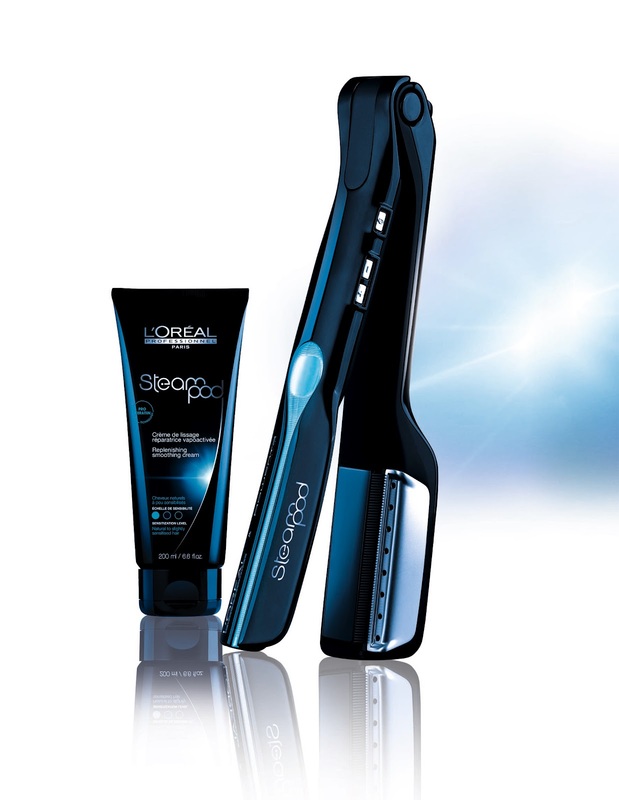 In conjunction with the Steampod, L’Oréal Professionnel is also launching a Pro-Keratin range of treatment products that contain ingredients which are steam activated and work to repair the hair and improve its condition and manageability over time. This means that you’ll get even better results with regular treatments, but you do definitely see a difference after just one. So how does the Steampod work exactly? It uses steam to gently open the hair cuticle, preparing the hair for the Pro-keratin treatment. By progressively heating up the hair with the steam this means that there is no heat shock to the cuticle, heat shock is where the hair becomes dull as a result of being heated too quickly. The treatment product then goes deep into the hair fibre to rebuild and repair the damaged areas, then the anodized ceramic plates of the Steampod work to smooth the cuticle and seal the ends of the hair, resulting in a flawless finish and noticeably repaired hair. Laura, who gave me a damn good blow wave in conjunction with the service, used the appropriate products for my hair’s slightly oily roots and dehydrated ends, and the results were amazing. Steampod is an in-salon service available at participating L’Oréal Professionnel salons from October, and at a recommended retail price for the service is $15 on top of a regular blow-dry (price will differ between salons) it is definitely something you can easily get addicted to! Millionaire’s hair on a freelance writer’s budget? Don’t mind if I do!